What do a late-Victorian master chef, an eighteenth-century country parson, and a mid-Victorian chimney sweep have in common? 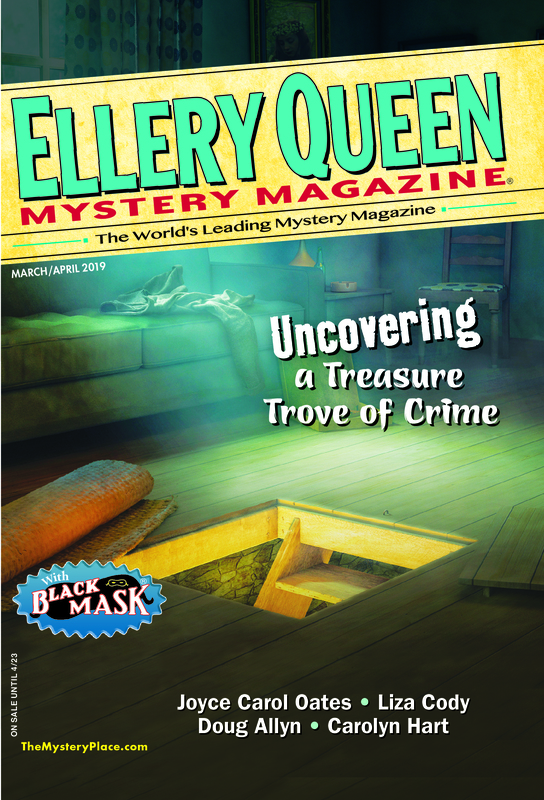 Answer: Auguste Didier, Tom Wasp, and Parson Pennywick are the sleuths in my historical mystery stories, which I’m very proud to have had published in Ellery Queen’s Mystery Magazine over the years. I also write in the contemporary field, but the historicals have a special place in my heart. Why? I think it’s because history itself is a mystery. When I carry out research I feel I’m burrowing into the exciting but mysterious unknown, so when (like Alice in Wonderland down her rabbit hole) I arrive in this strange place I first have to get to know my way around and then people its landscape with my characters. That sets the stage for curtain up. Then, in the words of the immortal Ellery Queen himself in The Roman Hat Mystery, “are introduced a theatre audience and a corpse,” the latter being my contribution, the readers’ the former. At least I hope there’ll be readers! Quite a few of my stories haven’t made it past rehearsal stage. I once burrowed deep for a story based on Cleopatra’s Needle and even deeper for one on whether Shakespeare was Shakespeare, but the curtain never rose on them. That’s another thing about history. If you try too hard to seek out its mysteries it sometimes becomes coy and refuses to “work” for you. Luckily, the research can be so rewarding that it becomes an enjoyable end in itself. If I had never burrowed into the great Shakespeare debate I would never had discovered the theory about the 17th Earl of Oxford. Personally, I see no reason why Shakespeare couldn’t just have been Shakespeare, but it was fascinating nevertheless. Like Ellery Queen in his novels, historical settings set a challenge. His challenge is to the reader and mine is to me, the author. Will history prove friend or foe today? I wonder when I’m working on a story. Will my plot work amicably with the historical facts or will they fight each other every inch of the way? Once, on a bad day, I discovered that King Edward VII couldn’t possibly have been in Kent as my story demanded, because having consulted the court circular column in The Times for that day I found he was opening something or other in the North of England. Oh, bother! Should I ignore it? No, I’d never look at the story again without feeling guilty. On a good day, however, history can decide to smile on you and produce a few ideas of its own that actually enhance your plot or take it in a new exciting direction. For two days on which I required His Majesty to be in Paris, I discovered that not only had he indeed been there, but his movements, as The Times recorded rather crossly, were unknown to the press. Suited me down to the ground. I knew exactly where he was. I do my best to play fair by history. I try my hardest to check every detail that the reader could assume is historical fact and if I can’t get to the bottom of one of them, I omit, avoid, or write an author’s note about it. After all, history plays fair by me, as my favourite ideas have sprung from historical oddities that have stuck in my mind from various sources. They don’t always demand to be used right away; some prefer to lodge peaceably within me until I summon them forth to spin a web around them. In this way Auguste Didier met the Distressed Gentleman in the Strand (“Murder of a Distressed Gentleman,” EQMM May 2008) and the Rightful King of England (“The Rightful King of England,” (EQMM November 2002); there really was a rumbustious Judge and Jury Club in a London pub of the 1860s (“A Case for Judge and Jury,” EQMM September/October 2002); and I couldn’t resist a recipe in a nineteenth-century cookbook for the King of Oudh’s Curry (“The King of Oudh’s Curry,” EQMM July 2011). As for “The Pilgrim,” (EQMM July 2005), the original Becket’s tomb in Canterbury Cathedral did indeed display a huge ruby called the Regale of France, which was appropriated by King Henry VIII during the period of the dissolution of the monasteries, given to his daughter Mary to wear round her neck, and was then never heard of again. It didn’t seem too far-fetched to write a story in which the ruby’s history covered several centuries after that. As many other writers used to writing novels, I was at first very nervous about writing short stories, particularly when I read all the well-meant advice on how to do it. Write a twist in the tail? Me? Panic. How does one do that? Answer: I still don’t know. I’m never sure when I write a story that I’ll get a punchy ending, but somehow the pen (and yes, I still use that historical utensil for the early stages of my work) usually writes it for me, once I get going. Or perhaps that’s just history again playing fair to see I make a reasonable stab at presenting it to the public? I’ll never know about punchy endings, but what I do know is how much I like happy ones—by which I mean seeing them in the great Ellery Queen’s Mystery Magazine. This entry was posted in Characters, Fiction, Guest, Historicals, History, Setting, Writers and tagged elleryqueenmm, eqmm, fiction, historical fiction, historicals, history, literature, setting, short story, writing_technique. Bookmark the permalink.